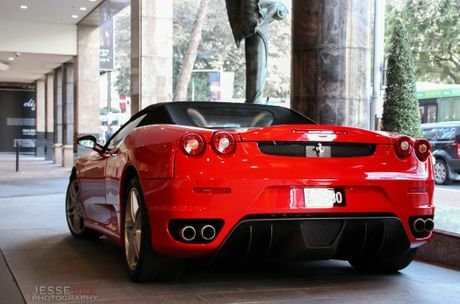 The 2007 Ferrari F430 Spider. 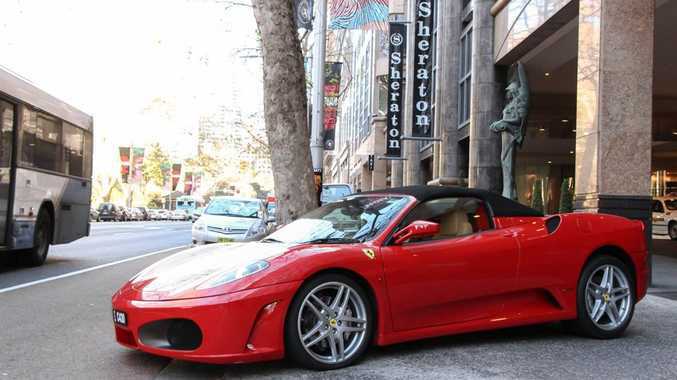 THIS beautiful 2007 Ferrari F430 Spider was spotted at the Sheraton hotel in the Sydney CBD. The Italian stallion is equipped with a 4.3-litre, 32-valve, eight-cylinder engine which can produce up to 360 kilowatts (483 horsepower) at 8500rpm and 465 Newton metres of torque (343 pound-feet of torque) at 5250rpm. Connected to the engine is a six-speed manual transmission that sends all the power to the rear wheels via Ferrari's E-Diff, a computer-controlled limited slip active differential which can vary the distribution of torque based on outputs such as steering angle and lateral acceleration. This allows this Ferrari to launch from 0-100 kilometres per hour (0-62 miles per hour) in about four seconds, and it will keep accelerating until it reaches its top speed of 315 kilometres per hour (196 miles per hour). Ferrari first introduced the F430 at the Paris Auto Show in 2004 to replace the Ferrari 360, that incidentally ended production in 2004. 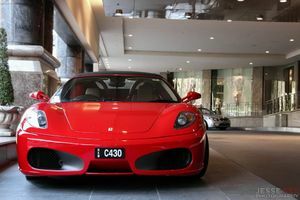 The F430 was an astonishment for Ferrari, as it produced 62 more kilowatts (83 horsepower) and 92 more Newton metres of torque (68 pound-feet of torque) than the 360. Also, the F430 actually features the same Alcoa aluminium chassis, roofline, doors and glass as the Ferrari 360, even though it looks completely different. However, underneath the rear boot lid sits an all-new engine specially made for the F430. The F430 ended production in 2009 with the 430 Scuderia Spider 16M, a stripped out version of this exact car. It featured a more powerful engine, it was 80 kilograms lighter, it accelerated 0.3 seconds faster and it also had a higher top speed. At the Frankfurt motor show in 2009, Ferrari released the 458 Italia to the public as the replacement for the F430. It had more power and torque, less weight, and was much faster in a straight line. It later became one of the most popular Ferrari's around the world. Some other features that this particular Ferrari F430 Spider is equipped with includes a power convertible roof, intermittent wipers, double-wishbone front and rear suspension, four-wheel ABS as well as traction and stability control, Xenon headlights, electronic brake force distribution, a leather interior with sport seats, dual-zone climate controlled air con and much more! You can buy a 2007 Ferrari F430 Spider for about $230,000.